A beautifully detailed rosary medal set. You'll receive one crucifix and one center. Made in Italy. Silver-oxidized metal. 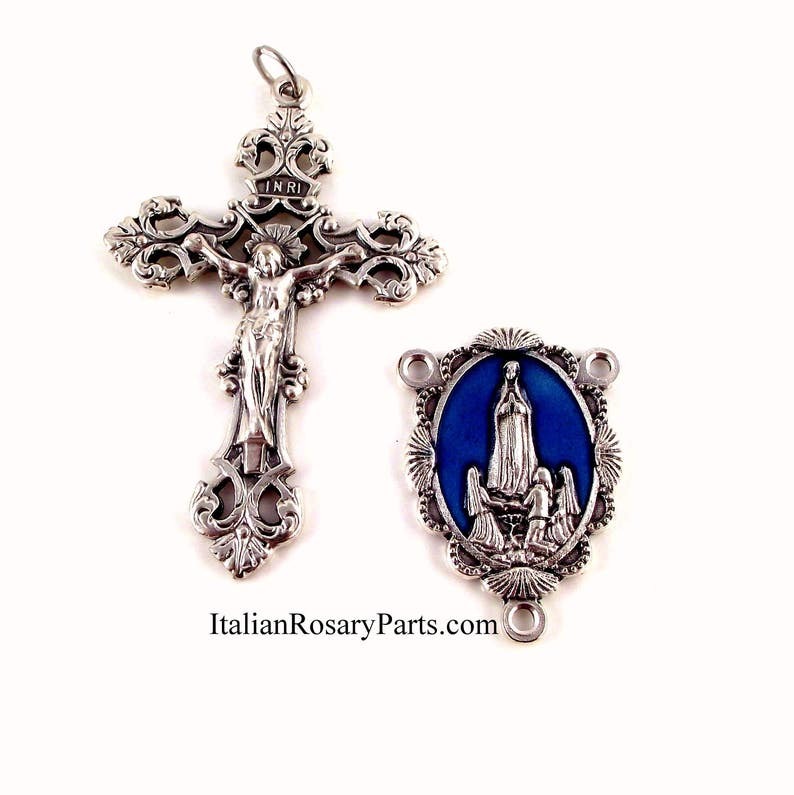 Center: Virgin of Fatima rosary center medal set in a scalloped frame with a blue enamel background. Measures 1.25" high by almost 1" wide. Crucifix: Fleur-de-lis crucifix with a cut-out design. Measures 2-1/4" high.